I liked a lot of things about Homeworld: Deserts Of Kharak, but the thing I liked most was just how awesome the game’s unit design (and overall aesthetic) was. 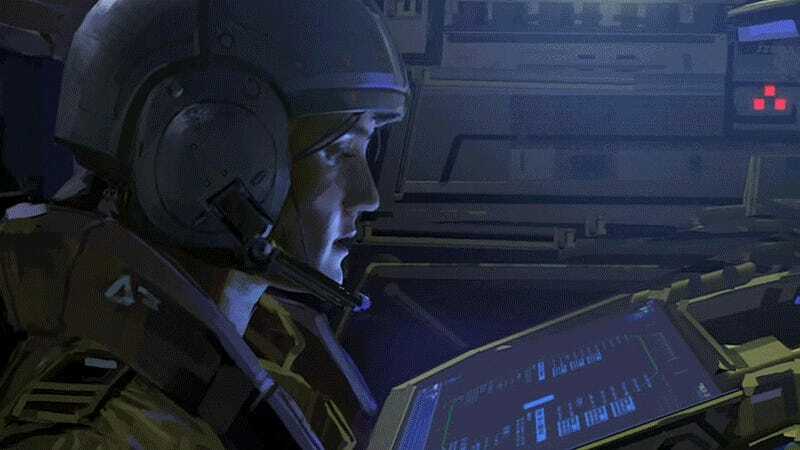 It shouldn’t be that big a surprise that everything looked so amazing—original Homeworld artists Rob Cunningham and Aaron Kambeitz both work at Deserts of Kharak developers Blackbird, and the game is set in the same universe—but still. Like I said in my review, I’ve never wanted to see a game’s units turned into models/toys more than I have after playing Deserts of Kharak. Every single one of them, from the smallest buggy to the aircraft to the lumbering carriers. So it’s a pleasure to be able to showcase a whole range of work from the game’s long and complicated history. Below you’ll find art ranging from the game’s beginning as a Facebook title (one that wasn’t even a licensed Homeworld game) through to line work for Deserts of Kharak to some of the wonderful 2D cutscene art, an old favourite of mine from Relic games like Homeworld and Company of Heroes that I was really happy to see make a return here. Cody Kenworthy, Karl Gryc, Bart Rdzak, Jeff Roussakis, Jim Spotto, Kelly O’Hara, Kevin Craft, Lukasz Symanski, Sean Thompson, Shawn Wagner, Stephen Mokrytski, Steve Mumford and Victor Kam. Aaron Kambietz, Adam Myhill, Brennan Massicotte, Jaye Zhou, Jonathan Lai, Matthew Thomas, Michael Krizaj and Noah Stacey. UPDATE JAN 25: Added a bunch of 3D work.